NOSTALGIA DRAG WORLD - Pro Stock Rescue Teams with Midwest Nostalgia Pro Stock Association "Paying Tribute to the Legends"
"Paying Tribute to the Legends"
Scott Venning announces today that he has just completed initial talks with Midwest Nostalgia Pro Stock Association’s Mark Pappas and Mike Ruth to team up with Pro Stock Rescue. Venning is the founder and driving force behind Pro Stock Rescue with Tony Christian, Bob Mayerle, and Woody Mays. Both groups working together will provide a larger, more impressive Nostalgia Pro Stock Racing Series. It is also a perfect fit for episodes on the Pro Stock Rescue TV show. 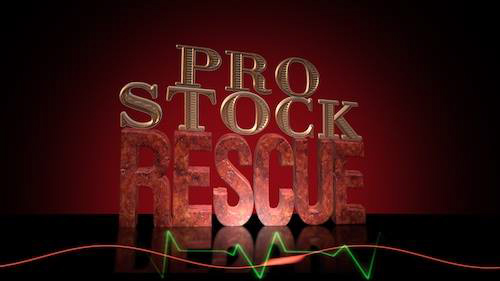 Pro Stock Rescue, produced by Autowerkz TV, is a TV series about rebuilding 1970’s – 1980’s Pro Stock cars along with a Nostalgic Pro Stock Racing Series, interviews with past and present drivers, manufacturer interviews and facility tours. The Midwest Nostalgia Pro Stock Association “Paying Tribute to the Legends” is a well-known, successful group of seasoned Pro Stock racers that have been putting on a fantastic Nostalgia Pro Stock Series for years. The two groups are developing a plan that will mutually benefit both organizations; however they will remain separate while combining resources for many new projects. Stay tuned for exciting news coming very soon! One thing can be said for sure, 2016 will be a wild ride.